Chapter 4 Page 17 is up. The crew breaks into the manse through the servants’ entrance. I had a lot of fun researching colonial kitchens for this page. 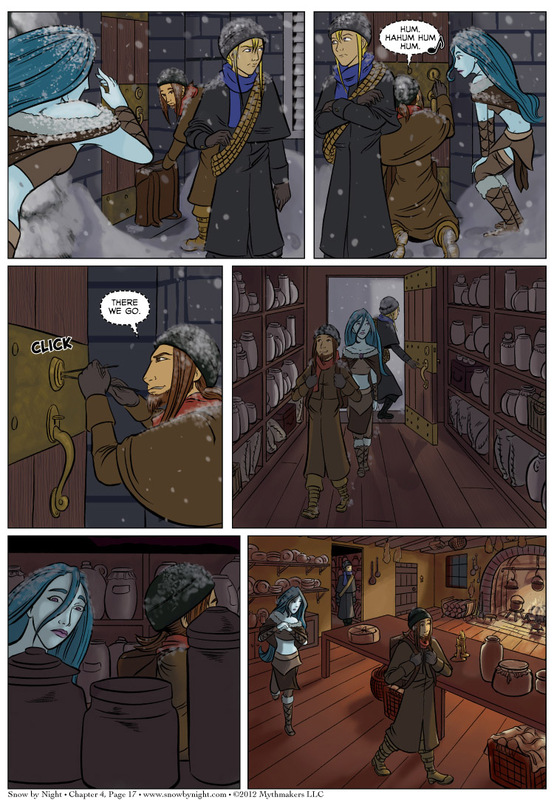 To see the dining room in all its splendor, vote for Snow by Night on Top Web Comics. Yeeeeah, might wanna avoid that fire there.